Plan your Valentine’s escape to Saugatuck and Hidden Garden now. All of our February weekends are booked but if you can travel midweek, you can save 25% on a two night stay in selected rooms. Another Valentine’s gift option is a Hidden Garden gift certificate. You can purchase, personalize and print out your gift certificate in minutes. Look for the “Gift Certificate” link at the top of the page. 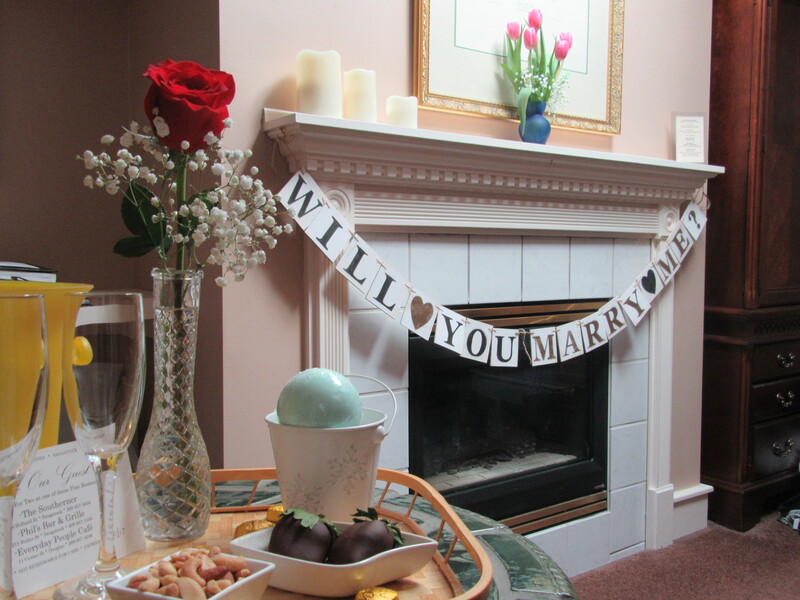 Our cozy cottages and suites are the perfect spot to pop the question or pop the cork in celebration! We can help with all the little extras that will make your romantic getaway memorable. We offer champagne, chocolates and flowers, just give us a call and we’ll take care of the rest. Although we are a small property, we can host your small wedding ceremony too. On a recent snowy December morning the mayor of Saugatuck married a happy couple in front of a warming fire in our Kilimanjaro Suite. We can offer advice on cakes, flowers and champagne for the perfect intimate wedding.